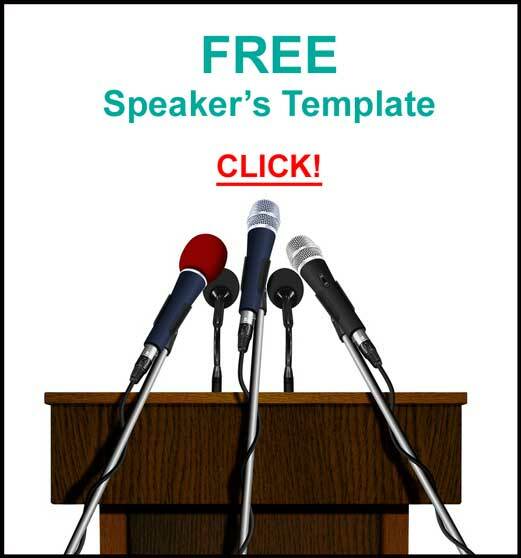 Home | Speaking/Presenting | Your Elevator Speech: CLARITY is. . . 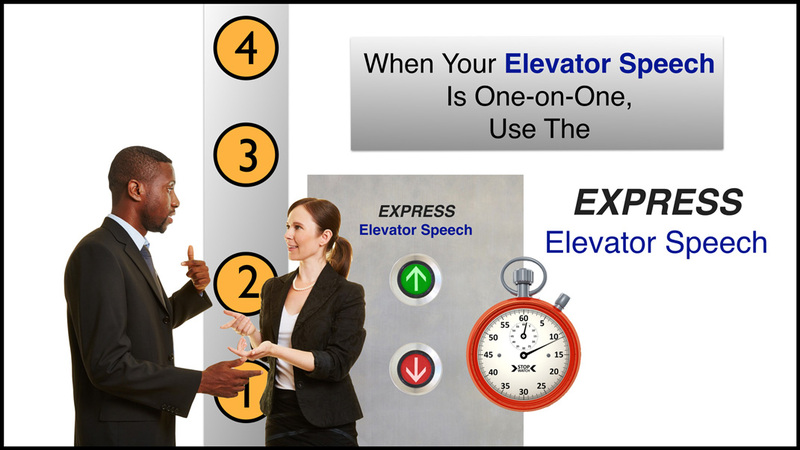 The Elevator Speech is a Personal Infomercial that concisely answers that question. 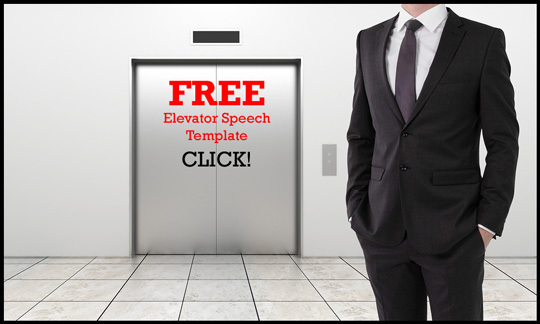 A template and worksheet for developing your Elevator Speech is HERE. Someone listening to your Elevator Speech wants to find out more about your products and services because they have a challenge or need they would like to solve immediately. A person hearing it doesn’t need the offering now, but will be comfortable, in the future, if the need arises, having a conversation with you. A recipient of the message would be happy to refer you if they know a person who might benefit from your products and services. Everyone is not a prospect for your products and services. You are not going to purchase everything offered to you. Don’t waste major time on minor possibilities. 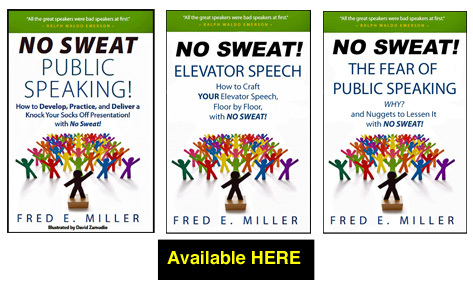 One Rule for an Elevator Speech is No Selling! 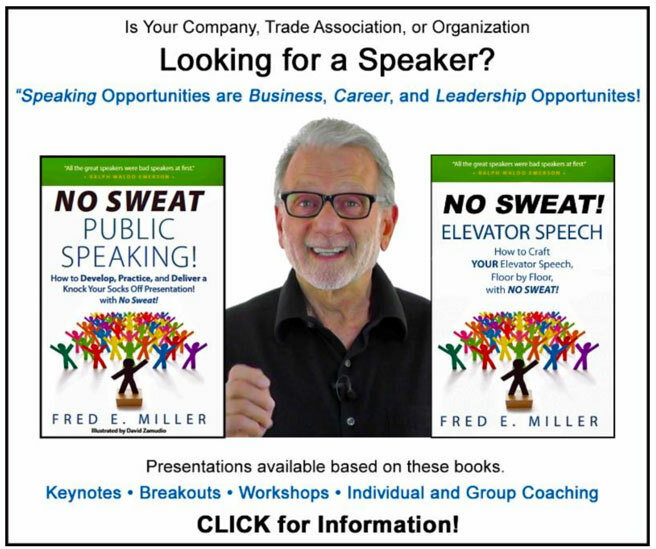 An elevator speech is not a sales presentation. It is a way to let others know what you offer. Buying and selling, if they occur, must come later. 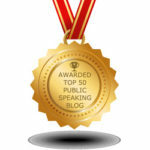 People hearing your Elevator Speech should know exactly what you do. If they have a clear understanding of your offering(s) and believe you have expertise, they will want to know more; for themselves and possibly referring others to you. • Teacher, what do you teach? 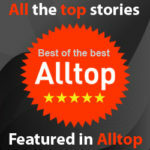 • Consultant, what do you consult on? If they are confused and don’t understand precisely what you do, it’s over! No Buzzwords, Acronyms, or Techno-Speak! You will not impress people by using words they don’t understand. You will lose them! No one likes to feel stupid. We see the Emporer with no clothes, but nobody says anything, and, they won’t buy your products or services. 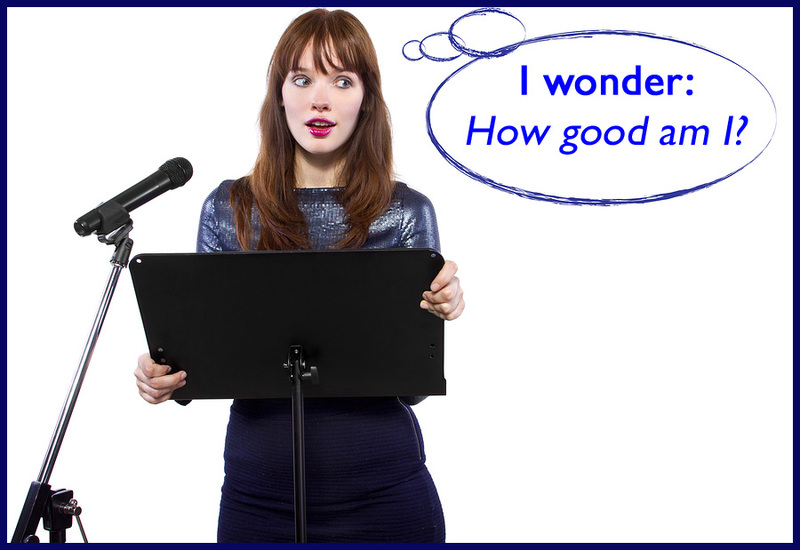 A financial advisor who speaks to prospects about derivatives, mutual funds, and ETFs. They will listen and nod their heads in the affirmative. Many don’t have a clue what he is talking about, and it’s rare someone will ask. It’s unlikely they will become clients. 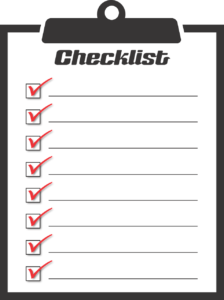 When people know exactly what you do, they can decide they want more information and schedule a conversation. 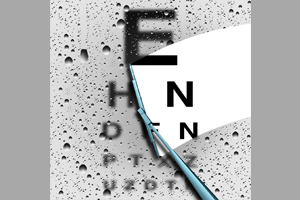 If they have a clear understanding of your offering(s) and believe you have expertise, they can refer others to you. Follow this advice for putting clarity into your Elevator Speech and it will be absolutely, positively – NO SWEAT!